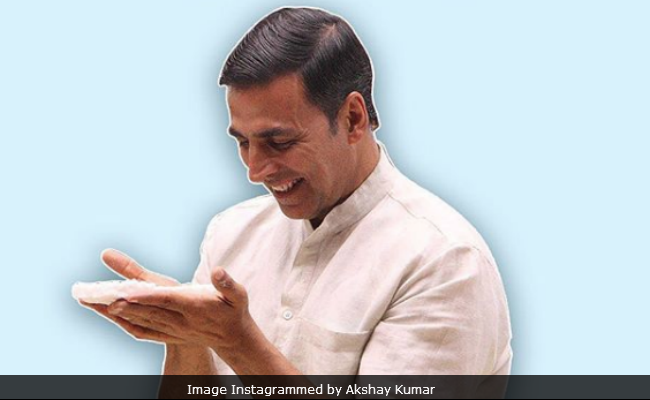 PadMan's Song Sayaani: Akshay Kumar Has An Important Message. Period. A new song from Akshay Kumar's PadMan is out. Sayaani, which is the title of the song, features Radhika Apte and other ladies from the village celebrating the onset of a girl's menstruation cycle while a few young boys are heard calling it as a "test match". The song opens with Sonam Kapoor (who also features in PadMan) mumbling, "How can a man be so obsessed with chums?" The song also shows the story of entrepreneur Arunachalam Murugunantham, who invented low-cost method of making sanitary napkins. Akshay shared the song on social media and wrote: "Ladki sayaani ho gayi, hum kab honge?" PadMan is produced by Akshay's wife - author and producer Twinkle Khanna. Watch Sayaani song from PadMan here. Sayaani is composed by Amit Trivedi while Kausar Munir has written the lyrics. Yashita Sharma, Jonita Gandhi, Yashika Sikka and Rani Kaur have sung this beautiful song. Earlier, the makers of PadMan released songs like Hu Ba Hu, The PadMan Song and Saale Sapne. Recently, Twinkle Khanna delivered a speech about menstrual hygiene at Oxford Union. Twinkle talked about period taboos and period poverty. She also shared Muruganantham's story and said, " He tested the pad himself. He constructed an artificial womb of socks, took a rubber bladder and filled it with pig's blood. Put on a sanitary pad and pulled his pants up. His wife got fed up with his obsession with pads and divorced him but he persevered and later made low cost sanitary pad making machines." Directed by R Balki, PadMan is all set to hit the screens on February 9. The film was earlier slated to release along with Sanjay Leela Bhansali's "Padmaavat" but Akshay postponed the release on request from the director.